Many BMW owners are faced with VANOS issues in their high mileage engines. This can make your smooth BMW sound like a noisy diesel and rob you of low and mid RPM torque so crucial for good street performance. For years we have offered world class VANOS repair for local customers and race teams that we work closely with, now our services are available to you for repair and upgrades to your VANOS assembly. Our VANOS units are repaired and upgraded to our high standards of quality. With years in the BMW business and 40+ in high performance, you are assured our VANOS units are made to the tightest tolerances and with the finest components available. In our in-house state of the art machine shop facility, the same where our world class engines are built; each unit is cleaned, fully checked, and refreshed using the best long-life components available, we don't settle for the equivalent brands that quickly deteriorate, but high quality Viton o-rings and low friction seals throughout the assembly. Our units are repaired on computer controlled machinery not available to 'home-brew' companies. Our units surpass OEM and other repairers units by far and outlast them as well, all for a better price! VAC repaired VANOS units are 100% rebuilt and checked, not just an in and out repair of the individual failed component. No special tools required to remove and replace your current unit. 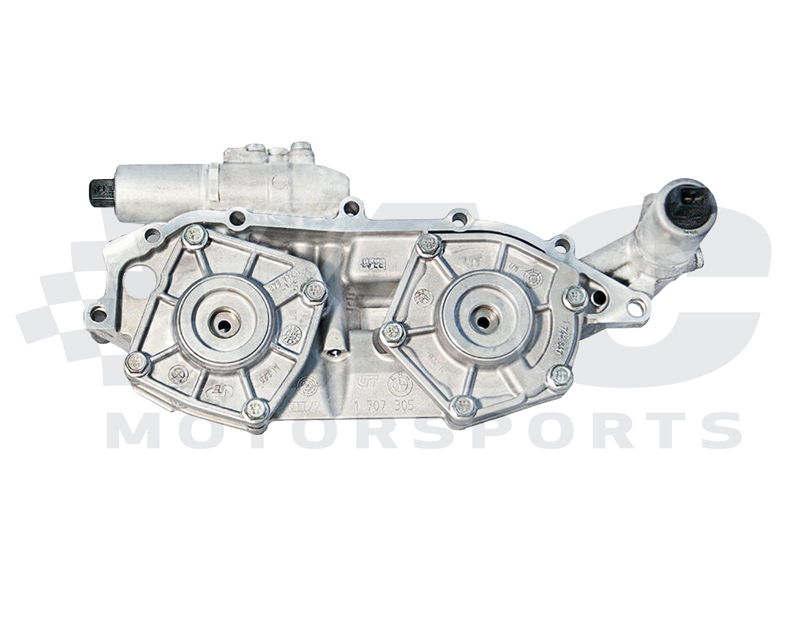 The M52tu/M54 Dual Vanos is repaired with a $150 refundable core charge upon receipt of your good core.